DishLATINO kicked-off its first ever, nation-wide search for talented Latinos to star in a national commercial. 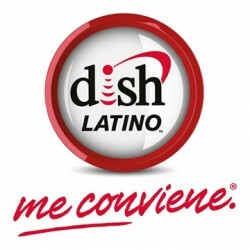 If chosen, three current subscribers of DishLATINO have the opportunity to also win $5,000. DishLATINO is searching for three “stars” to record and submit a video that shares why they love their DishLATINO service. Customers can participate in this competition by visiting http://dishlatino.com/nuevaestrella and uploading a video up to 30 seconds long that details their passion for the DishLATINO brand. The contest officially closes on July 15, 2013 at 11:59 p.m. MST. (1) Choose a Theme. Record a video without insults, profanity or negative connotations. You may not mention the competition by name. Be sure to wear proper attire and communicate a positive message. (3) Upload your Video. As soon as your video is approved and uploaded to the website, you will receive a confirmation via email. For more information and the full contest rules visit, http://dishlatino.com/nuevaestrella.